Hepatitis B is a contagious liver disease. If babies get infected, the virus usually remains in the body for a lifetime. Bekedam said non-availability of Hepatitis B vaccine at all delivery points, lack of awareness amongst healthcare workers and private sector adopting a different policy for the birth dose vaccination are some of the challenges in India. “There are administrative and logistic challenges in the uptake of Hepatitis B birth dose. 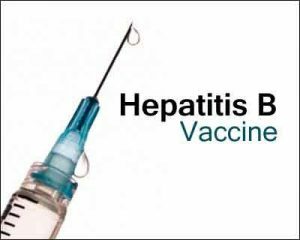 It is proposed that challenges identified be addressed systematically to increase coverage of Hepatitis B vaccine birth dose,” Bekedam told PTI. Bekedam, however, described India reaching 86 per cent coverage of Hepatitis B third dose in 2015 as a “commendable” performance. “In 2015, India reached 86 per cent coverage of Hepatitis B third dose which is commendable,” he said. The WHO is committed to supporting the Centre in “designing a comprehensive action plan for prevention and treatment of viral hepatitis with clear targets towards elimination as a public health issue”, Bekedam elaborated while talking about how agency was assisting the India tackling the disease. Organisation (NACO) with evidence generation on Hepatitis C prevalence in various population groups nationwide, in order to provide more reliable estimates of the Hepatitis C disease burden, he stated. “WHO is also supporting Ministry of Health and Family Welfare (MoHFW) with an injection safety project aiming to reduce demand for injections and increase the use of safety-engineered syringes for injections in health care settings. “And as a part of this project in India, WHO is closely working with MoHFW and select state governments to take concrete steps for making injections safe, both in public and private sector,” the WHO representative to India said. It is part of WHO’s project in three countries – India, Egypt and Uganda. In 2015, the Institute of Liver and Biliary Sciences (ILBS) New Delhi was formally inaugurated as a WHO Collaborating Centre for Viral Hepatitis and Liver Diseases, he added. Indian government is making concentrated efforts to understand better the epidemiological situation of viral hepatitis, he said. “Current challenges for hepatitis B control include the low hepatitis B birth dose coverage, injection safety issue and limited access to diagnosis and treatment of hepatitis infection,” he stressed. On the issue of “expensive” drugs for treating the disease Hepatitis C, the WHO official said, “Indian generic companies produce the new direct acting antivirals drugs for Hepatitis C.
“Some state governments have negotiated prices for a 12 week treatment course at Rs 20,000-Rs 24,000. This is a much lower cost than in other countries. “The price of same treatment in Egypt is USD 900. Prices can be negotiated further down if more people are put on treatment. The Punjab Government has been a flag bearer for Hepatitis C treatment in India.